Welcome to Fire Fighting in Canada: The Podcast, presented by Dräger. 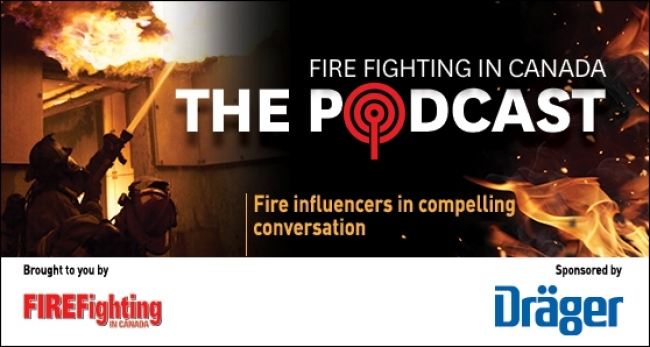 Our podcasts feature fire influencers in compelling conversation on hot topics impacting Canada's fire service. Just click on one of the links below to listen to a podcast. A Canadian study is calling for the creation of a national firefighter wellness surveillance system to help address soaring cancer rates and other key firefighter health risks.